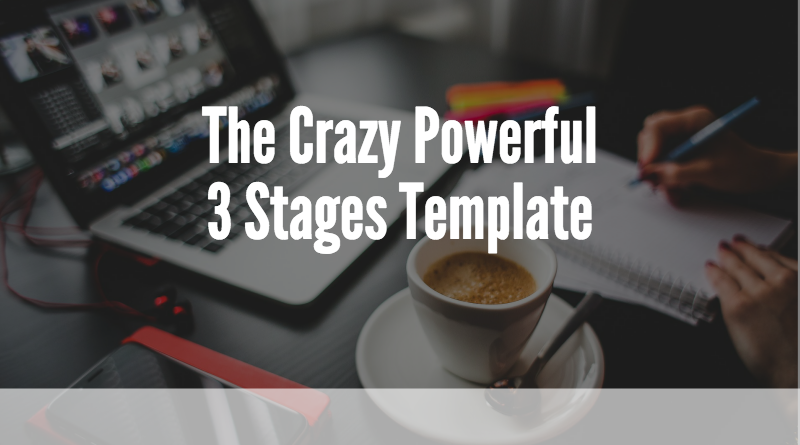 Today we’re going to talk about the crazy powerful 3 stages content creation template. Now, I first discovered this … Come back with me to 1995. I’ve been writing a column, a relationship, motivation column for the local paper for about a year. It was only supposed to be for six months but they liked it. It got internationally syndicated right away. What my students know and what I know is once you start creating a lot of content you start thinking in terms of content. You start seeing the world through content eyes, so you contentize everything. One of the things I noticed with my clients in my practice was a lot of people talking about how nervous they would get on Sunday afternoon or Sunday evening with the work week coming, and they’d get actually physically sick and anxious and all kinds of things. I started thinking about that and wrote a column about it. I called it Sunday Night Syndrome, SNS, and I came up with three stages, mild, moderate, and severe. Like you see right here, mild, moderate, and severe. That’s the three stages. I wrote a column about it and with what to do about each stage. Now, this is in 1995, back before the rapid communication we now we have internet and email. It was just starting out. I was about a year away from my first email address, I think, in 1995. What happened was, in about five days, once the column went out locally and then was syndicated across the world, is I started getting letters and phone calls about this whole Sunday Night Syndrome thing. I’m thinking to myself, “My gosh, I made this up 10 days ago.” I made up Sunday Night Syndrome, or named it 10 days ago, and named these three things, mild, moderate, and severe, and that was one of the first experiences, folks, with really getting the power of content and what it could do for you. 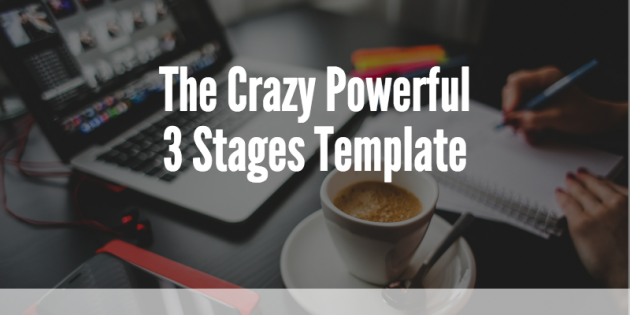 Now, the psychology of this template is when you can take a problem and break it down into stages and give tips that sets you up with a lot of credibility, a lot of what I call expertise, or expert ease, for your prospect. and as they go further they get results, results now. 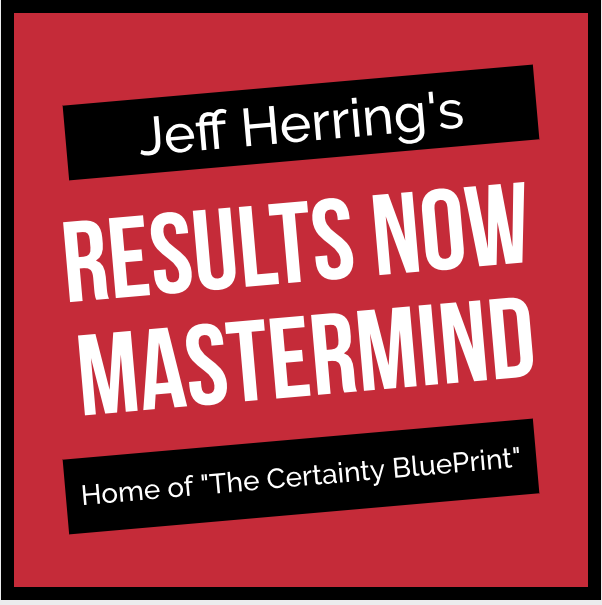 As they want more results, who do they go to? You, the person they’ve consumed that content from. 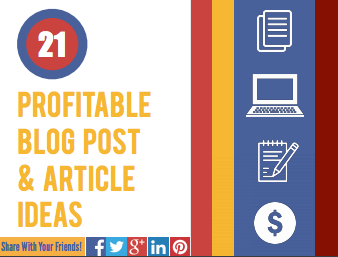 What I want you to do is take this template, and it’s in the 21 profitable ideas, take this template, think of a specific topic in your niche and do this, divide the problem, the challenge, into three tips, mild, moderate, and severe, come up with signs and symptoms for each one, and then solutions for each one. 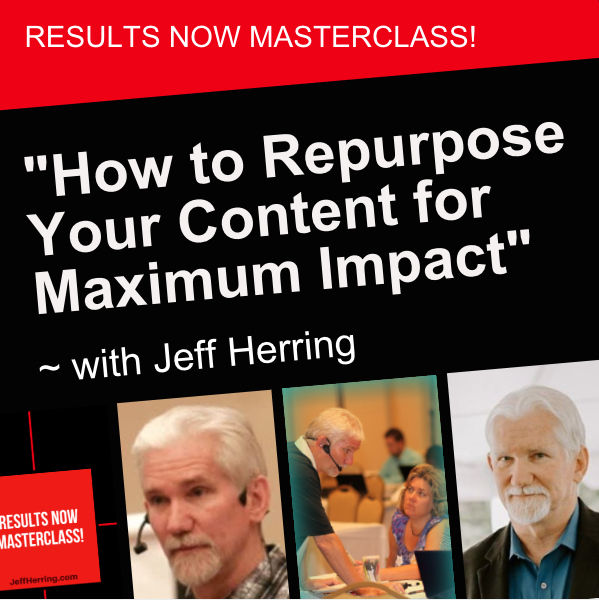 That’s a great piece of content, a blog post, an article, a live video like this, a webinar, a video, on and on and on it goes. That whole thing is about repurposing, which is hypersanity, using the same thing over and over again and getting great results. Now, I’d like you to do this before your head hits the pillow tonight. 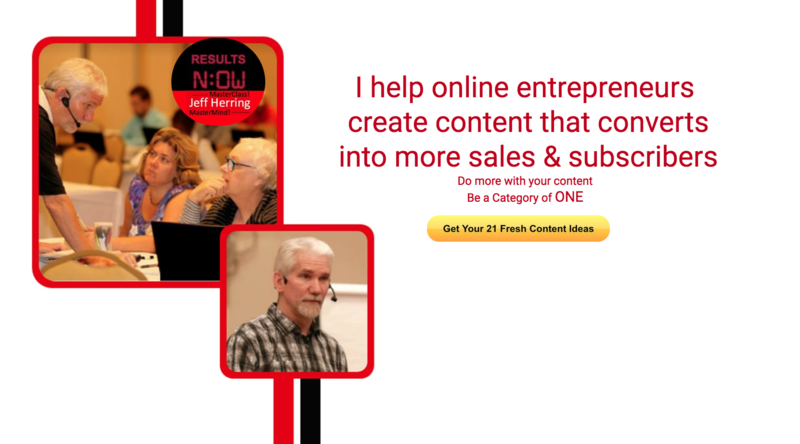 If you need a little extra help with creating your content, there’s the Custom Content Wizard. Answer a series of questions, press the button, and the button basically creates content for you in all of these different ways, the three stages is part of it, beginner’s guide, three mistakes, tips, advanced tips.